Tata Nexon in 2019 starts at price of Rs. 34.95 lakhs in Nepal. Diesel version of Tata Nexon starts at price of Rs. 42.85 lakhs. 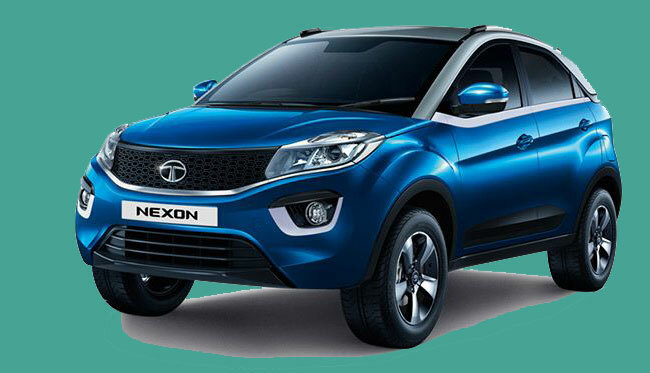 Sipradi Trading Private Limited, official distributor of Tata motors in Nepal, sells and distributes Tata Nexon. They are currently selling total of 13 variants of Nexon including Petrol and diesel variants. Petrol variants of Tata Nexon include Revotron XE, Revotron XM, Revotron XZ+, Revotron XZA+, Revotron XZ+ dual tone, Kraz and Kraz+; which come with 1198cc engine. Similarly, diesel variants of Tata Nexon include Revotorq XM, Revotorq XT, Revotorq XZ+, Revotorq XZA+, Revotorq XZ+ dual tone and Revotorq Kraz; which come with 1497cc engine. Please note that above price of Tata Nexon subcompact SUV car is subjected to change and is for reference purpose only. Kindly contact Tata Nepal to get the latest showroom price. Note: Tata Nexon price list was last updated on February 12, 2019. Tata Nexon is a subcompact SUV vehicle, recently launched by Tata. It is built on Tata X1 platform, and is characterised by two-tone paint, LED headlamps and large chrome bands along the side. It is gaining much popularity in Nepal since its launch. Good specs with sporty looks in low price range has attracted budget customers, particularly youths, towards Tata Nexon. Tata themselves have been targeting this vehicle to youth. You can message us your queries regarding Tata Nexon price in Nepal or its specifications, features at our Facebook page.